Last weekend, I made a trip back home to Tampa to visit some family and friends. It was a busy but fun weekend which included Gasparilla, 3-mile runs, car washes and tennis. By 2pm on Sunday, I felt like an 80-year-old lady! All I wanted to do was sleep. Yet with no family dinner plans in the making, I sought out to find a healthy meal. I searched for a healthy recipe that would serve my large family of seven and eventually came across this DELICIOUS Chicken & Sun-Dried Tomato Orzo dish from Eating Well. This simple recipe only took 30 minutes to make and when the recipe was doubled, there were plenty of leftovers for the beginning of the week. The directions were easy to follow – the only change I made was the cooking method for the sauce. I boiled the tomato puree in a large saucepan, then added the orzo and let it simmer. 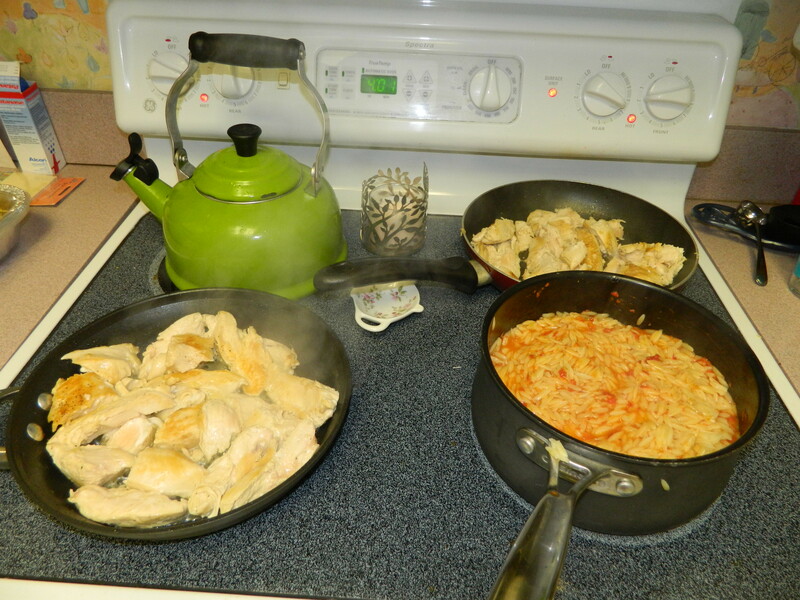 I topped the chicken with the orzo mix and sprinkled Romano cheese on top. This recipe was brother, sister, parents AND boyfriend approved. 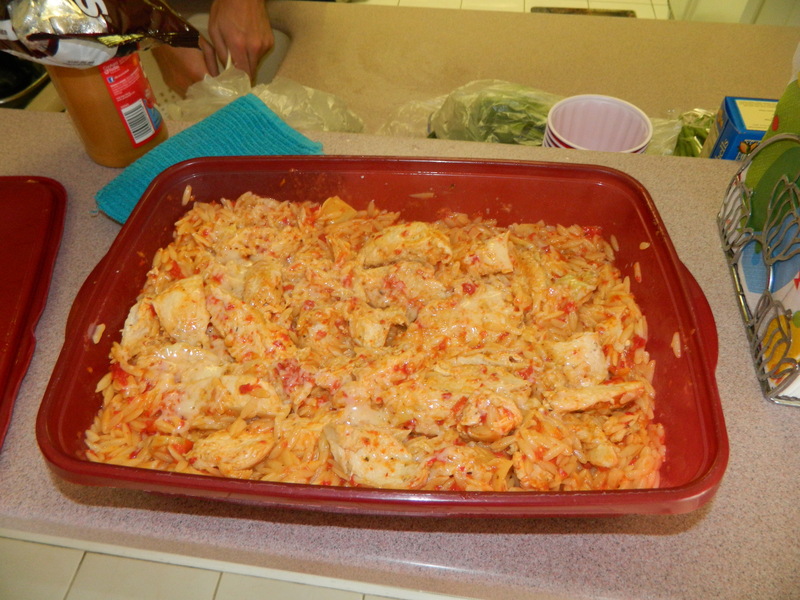 Even a couple of family members couldn’t believe it was “healthy.” Family members can add extra cheese if they prefer. If you prepare this dish, let me know how it turns out!